Hearty and nutritious soups are important on aged care menus, especially in winter. 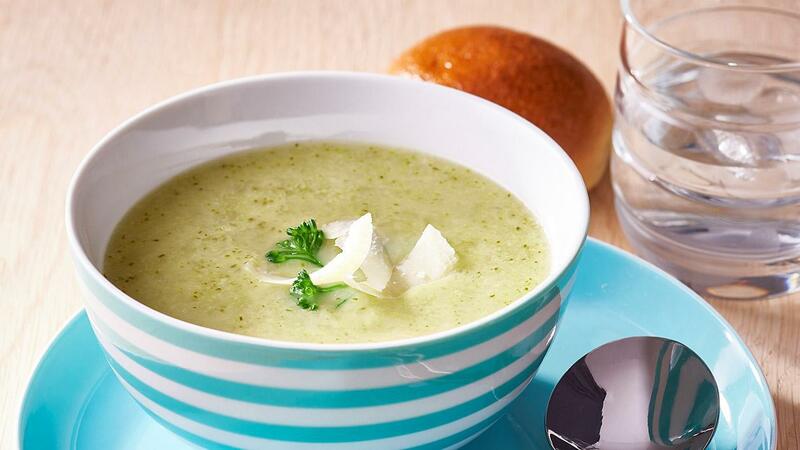 This recipe is based on a regular favourite: cauliflower and cheese soup, but uses broccoli instead of cauliflower for its vibrant colour, and is another delicious soup menu option. KNORR Concentrated Liquid Stock adds the rich chicken taste to this soup without overpowering the great flavour of broccoli. Sweat the onions off in butter and add broccoli, water and cream. Lightly cook until the broccoli is tender. Season with KNORR Concentrated Liquid Stock and add cheese. Blend.